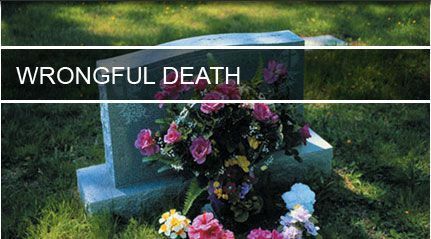 In a blog post last week, we highlighted a wrongful death case related to the death of an elderly woman while she was a resident at an assisted living facility in California that was run by the Seattle-based Emeritus Corp. At the point of the previous blog post, the jury had determined that the nursing home corporation was guilty of wrongful death and elder abuse in the case of 82-year-old Joan Boice. Boice, who had been placed in the care of Emeritus at Emerald Hills in Auburn, Calif. after being diagnosed with Alzheimer’s disease, had reportedly developed at least four major bed sores during her stay at the assisted living facility. Those bed sores were listed as significant factors in her death just three months after being discharged. Also in the previous blog post we discussed the fact that California, unlike Washington state, allows punitive damages in civil actions and that the punitive aspect would be a key factor in the overall verdict of the case. As it turns out, we were right. Likely in an effort to send a serious message to both Emeritus Corp. and the entire nursing home industry as a whole, the Sacramento Superior Court jury recently delivered a crushing blow to the company when they reached a verdict of more than $23 million in the case. According to court documents, the jury ordered Emeritus to pay Boice’s family approximately $500,000 in compensatory damages and an additional $23 million in punitive damages. Those same reports also indicate that Emeritus had offered a $3.5 million wrongful death settlement to Boice’s family, which they rejected. There are no details into the charges, but Emeritus was also found guilty of participating in fraud in relation to the Boice case. Although it is unclear what exactly led to the guilty verdict, it can be estimated that the company may have put some sort of effort into covering up the case. “Emeritus is extremely disappointed with the outcome of this trial and does not believe it is a fair reflection of the care that was provided to this resident in 2008,” said Emeritus president and CEO Grager Cobb. The verdict in this case will serve as a strong example to the entire assisted living industry and hopefully convey the consequences that companies can expect if they exhibit the horrible standard of care that Emeritus provided to Ms. Boice.